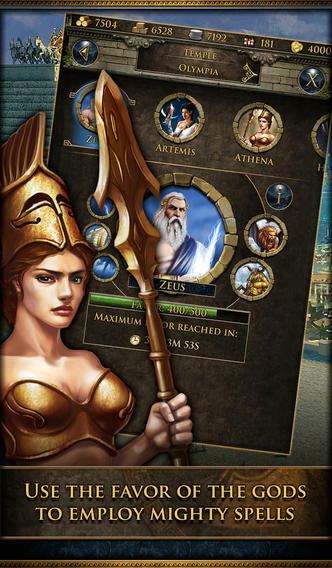 Grepolis is an iPhone game developed by InnoGames. 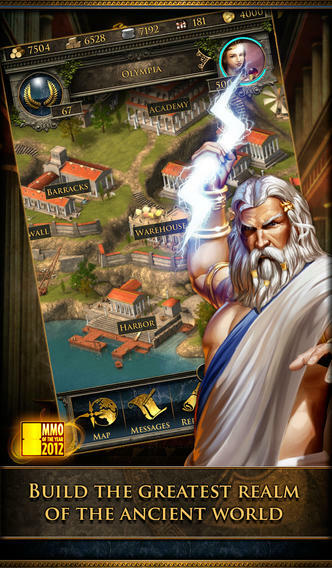 In this exciting strategy MMO, you control Ancient Greece. Working alongside the gods themselves, you can build an empire more mighty than any other. You can play as a guest or register an account. The game does take a little while to load on your first detail as map details and quests are made available to you. With Helen and Socrates as your guides, you can lay the first cornerstones of your mighty city and begin mastering your domain. You’ll get tips along the way, making it easy to get the lay of the land. As with most strategy games, this guided tutorial is a bit long-winded, but it needs to be with a game that is as complex as this one. This free-to-play strategy MMO has 20 million registered players worldwide, ensuring that there is always something going on. There will always be plenty of other players to battle, and other cities to conquer. There’s a lot to do when you’re not conquering other cities. 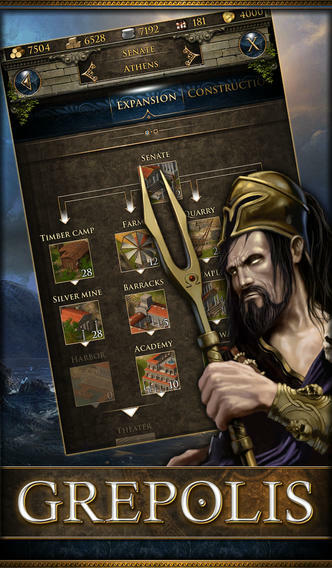 There are 20 spells to master, 13 different types of buildings to acquire, and about 30 different technologies and army styles to add to your arsenal. 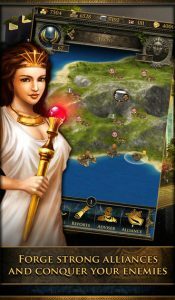 If you loved studying Ancient Greece in school, claim “300” as your all-time favorite movie, or are fascinated by Greek myths and legends, this massive strategy game is definitely gonna get you right in the sweet spot. 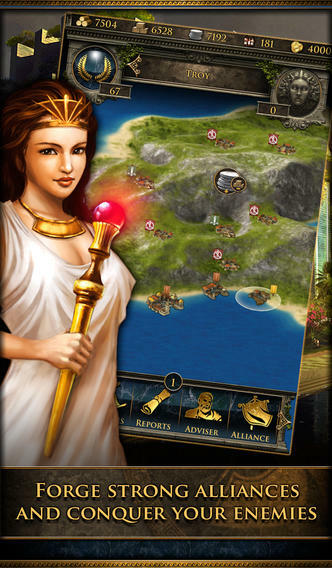 Boasting lush graphics and an engaging series of campaigns, this excellent strategy game is completely addictive. Grepolisis compatible with iPhone, iPod touch, and iPad. This app is optimized for iPhone 5. Requires iOS 4.3 or later.